Private John Thomas Phillips is remembered in the Niederzwehren Cemetery. He was living with his parents John Phillips, horse keeper on farm, and Elizabeth née Syer, sister Bessie aged 5 years, brothers Bertie aged 3 years, George aged 1 year and sister Ivy aged 3 months in Weston, Lincolnshire. All the family, except for John, but with additions Kathleen, Walter and Frank had moved to Grange Farm, Wollaton. No records found for John in 1911. 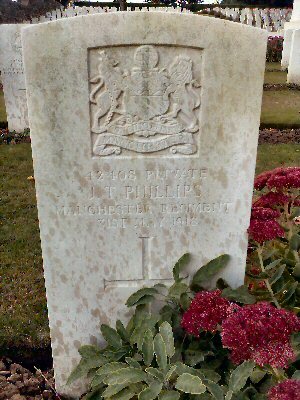 On 11th December 1915, John Thomas Phillips aged 22 years, then living at Holme Lane, Holme Pierrepont and employed as a horseman and cowman, enlisted with the Lincolnshire Regiment in Nottingham. 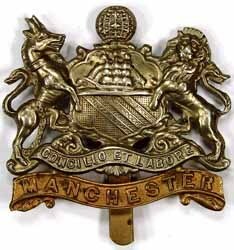 On 19th June 1917 he transferred to the 2/7th Manchester Regiment. In February 1918 the 7th moved to Burbure near Lillers and the 21st March 1918 brought the start of the expected German Spring offensive and the date that John Phillips was reported wounded and missing. 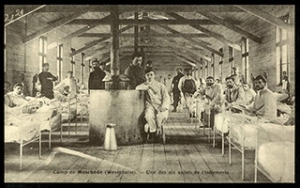 On 31st May 1918 it was reported that John Thomas Phillips had died in a prisoner of war hospital. The father’s address in 1921 is given as Home Grange Cottage, Holme Pierrepont but there are a number of letters inferring there was a problem delivering mail to him. The army contacted the police to check address given. His mother’s address is still given as Grange Cottage, Wollaton and his effects were sent to that address. Commonwealth War Graves give Mrs Phillip’s address as Main Road, Plumtree.